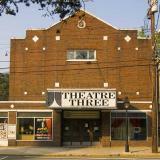 The series features fantastic documentaries with lectures/presentations at the Village Cinema at Theatre 3 in Port Jefferson, NY. and the Charles B. Wang Center at the State University of New York in Stony Brook, NY. The photographs start in the Fall of 2005 and continue onward. The galleries are in reverse chronological order. The series is brought to the screen by the Greater Port Jefferson, Northern Brookhaven Arts Council. would like to purchase tickets for "Herb & Dorothy" for Monday, March 8th showing. How and where to purchase. Called & left message but no one responded.